A survey done is 2001-2004 measured the levels of vitamin D in children across America and led to the conclusion that vitamin D deficiency is widespread in the US. Lack of vitamin D is most likely caused by insufficient sun exposure. It is recommended to eat more fish and drink more milk and most importantly, to spend 15-20 minutes a day in the sun. Daily consumption of vitamin D supplements should be considered, especially for high-risk children. Vitamin D is a global name for a group of fat-soluble prohormones. The main form of vitamin D is D3 which is produced in the skin as a consequence of direct sunlight exposure. The active form of vitamin D influences a lot of organ systems but its major role is maintaining the amount of calcium in the blood. Vitamin D deficiency is transduced into distorted bone shape and thickness. In children it can lead to rickets, a softening of the bones, and in adults it might contribute to osteoporosis. Vitamin D signals several organs and may lead to the development of cardiovascular diseases. It has been observed that children with vitamin deficiency had higher blood pressure and lower levels of calcium and good cholesterol in the blood. This observation emphasizes the importance of vitamin D for calcium uptake and prevention of CVD. The researchers, headed by Dr. Michal Melamed from the Albert Einstein College of Medicine of Yeshiva University, have analyzed data regarding more than 6,000 children to study vitamin D deficiency frequency in the US. The data used was collected by the National Health and Nutrition Examination Survey 2001-2004. 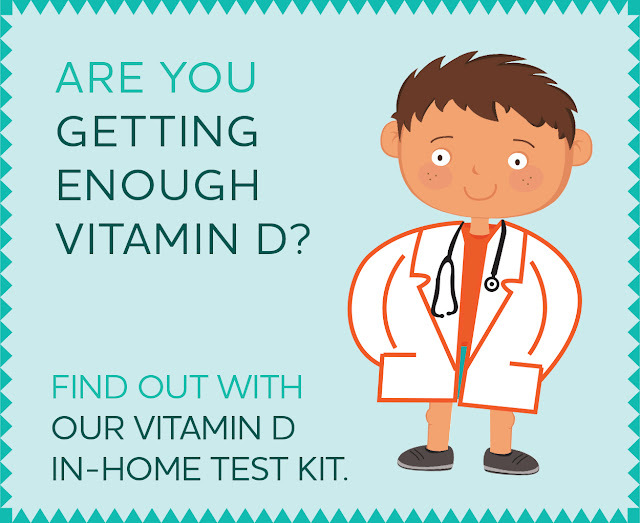 In the survey vitamin D levels of children in the ages of 1-21 years were gathered. While normal levels of circulating vitamin D are above 30 ng/mL, vitamin D insufficiency is defined as 15-29 ng/mL and a vitamin D deficient person will have less than 15 ng/mL circulating vitamin D. The research showed that the prevalence of both vitamin D insufficiency and deficiency is higher than thought. According to the survey, 9% of the US children are vitamin D deficient and another 61 percent have insufficient levels of vitamin D. All together, there are more than 58 million children in the US who lack vitamin D. The researchers also found a connection between several genetic and environmental factors and lack of vitamin D.
According to the survey some children are more likely to develop vitamin D insufficiency than others. This group includes both children with a specific genetic background like African-American and Mexican-American children and children that live in cold places, older, obese, spend more than four hours a day in front of a television or a computer or drink less than a cup of milk a week. They also found that women are more likely to be vitamin D insufficient. These perturbing outcomes of the research call for immediate actions by both medical staff and parents. Lack of vitamin D might influence bone health and lead to cardiovascular diseases (CVD). The researchers suggested that vitamin D levels should be checked regularly, especially in high-risk children. They also suggested some ways to increase vitamin D levels. The most effective way to increase vitamin D levels is to produce it by direct sunlight exposure. An exposure of 15-20 minutes on a daily basis is recommended. Another way to gain vitamin D is from food. Vitamin D can be absorbed from foods such as fish and eggs in its natural form or from milk, cereal and other processed foods which are fortified with vitamin D.
The most convenient and safe way to get vitamin D is through supplements. In many cases sunlight is not strong enough or not enough skin is exposed to it and too little vitamin D is produced. The best way to ensure you and your children get enough vitamin D is taking supplements on a daily basis. The research showed that taking a supplement can help in preventing the deficiency although only 4% of the children took it on a daily basis. This massive survey confronted everyone with the prevalence of vitamin D deficiency among the children of the United States. Lack of this essential vitamin can cause systematic illness. Some critical steps should be taken by both pediatrics and parents in order to reverse this trend.